Rant time, because the subject just keeps coming up. Whether you believe in the age old rules for grain orientation in axe handles or not is inconsequential to me because I've used both good and "bad", and because I don't cut down giant redwoods for a living, I have never broken an axe handle. What's more is I have a bunch of axes and I like swinging them all so no single one gets a particularly high volume of use at any one given time. I am guessing there are a lot of you out there using your axes under similar conditions, others who use one much more, others still who use them less, but very few of you who use them enough to regularly find the strength limitations of the handles. The point? Regardless of the orientation of the grain, Hickory is pretty good stuff and so long as you get a structurally sound piece of wood, chances are that regardless of which way the grain runs across it, it'll serve you well. BUT! Of course there is a but. Run-out. It's the scary thing that breaks handles. Truth, I have no idea if it really is a bad thing or not. I'm sure there is evidence out there suggesting that if individual rings run through the handle from one side to the other, that is where the weakest point is to be found, and in my mind, it just makes good sense. Wood just kinda works that way generally speaking. But then there seems to be these little voices who say grain orientation is insignificant, but run-out is the real culprit behind broken handles. And it's supported by the notion that the orientation of the grain is a cosmetic coincidence in handles with run-out. Let's examine. 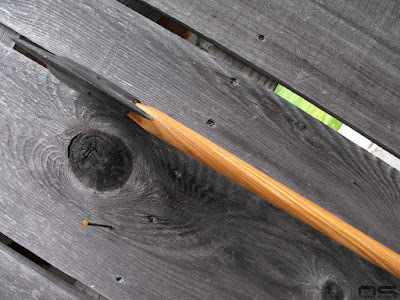 There are really only about three ways run-out can occur in an axe handle. Wood isn't always perfectly straight grained and so twists and curves in the grain can lead to run-out. Next, the grain can simply be running diagonally, even if it is straight. And third, straight grain can run out through the curves in the handle. Which factor, of these three factors is a flaw in the wood itself? Only the first. A tree can be twisted and when it is turned down to an axe handle, run-out may occur. The age old solution was to simply grade that handle lower, and sell it for less money, or reject it altogether. Is that done today? In my experience the grading systems, where they even exist, are vague at best. The other two factors are caused by the people cutting the lumber. Diagonal grain can be the result of twist or curves, but if that is the case, then it gets thrown into the twist and curve factor. What's my point? 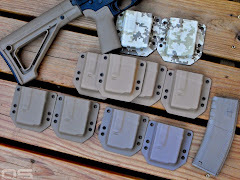 My point is that grain orientation is directly and intrinsically connected to run-out and any argument to the contrary is a failure to understand these simple concepts. Well what kind of handles are we talking about? A straight handle with straight grained wood won't have run-out no matter which way the grain runs. Gold star. In that case, curvature of the handle is a factor we can eliminate, but there is always the possibility of diagonal grain or twists. So this rant is focusing on your run of the mill curved axe handle and to be clearer still, an axe handle can fall into a very wide range of curvatures from straight to really damn bendy. A human selects and saws the lumber, the grain lived in the tree from its conception, so to say that orientation is cosmetic is nonsense. It sounds like a chicken or egg argument. Someone somewhere selected the grain orientation (or failed to), and then proceeded to carve a handle from that piece of lumber. 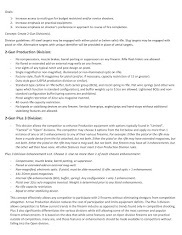 A woodworker of any kind and of any skill will choose his desired grain orientation first, obviously, to achieve whatever result he is attempting at the end of the project. And now, let's go back to our three factors. Two of the three factors which can result in grain run-out are directly connected to how the person selected (or failed to) grain when the tree became lumber, or the blanks became handles. 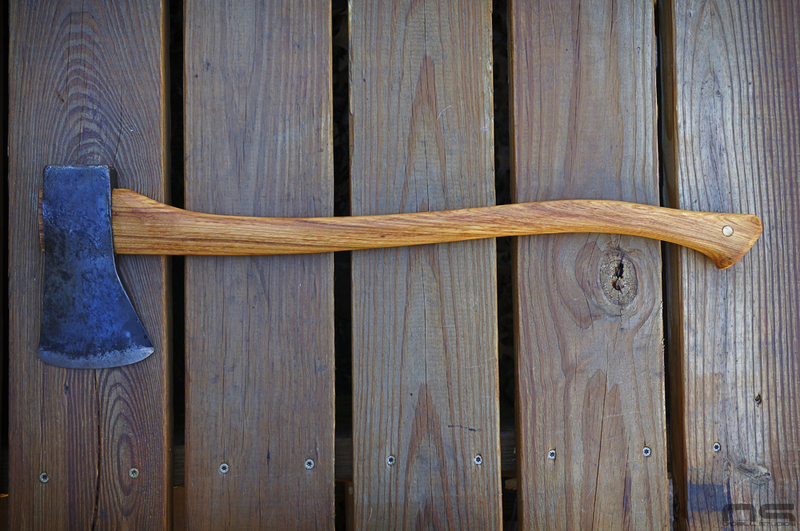 If the grain is perfectly side-ways on a curved axe handle, it WILL result in run-out. So exactly how are the two not integrally connected? They are, this is not opinion. And, the more curved the handle is, the more run-out will occur. Attempting to separate orientation from run-out works fine if you're suggesting that there are multiple causes of run-out (because there are), but it can be the direct cause or lack of run-out in a curved axe handle. Interesting things can happen with wood that might result in one with grain that runs end-to-end while also being sideways, but I know I'm not going to hold my breath on the way to the hardware store in hopes of finding that handle. The very concept is so unlikely that it holds no weight in the argument. The straighter the handle is (and in many cases the shorter the handle is), the more likely it is to happen, but doesn't that in itself refute the concept? It can happen so long as we stop talking about curved handles, and that is precisely the point. Because we cut a curved thing from a board with a particular grain orientation, run-out results or it doesn't. Which brings me to the next point. Parallel grain isn't the only answer, it is used in an effort to eliminate one of the factors leading to run-out. We know that we have at least three factors that could result in possible weakness in our handle, and we also have plain old poor quality wood to deal with. Logic dictates then, that we choose wood which has the best likelihood for success. Why would I choose an orientation that does the exact opposite? We still have natural factors to deal with in the wood, plus the other ways that wood could be cut and result in run-out. So is orientation a cosmetic coincidence of run-out? Obviously it is not. And let's put the nail in the coffin on this subject with the following example. 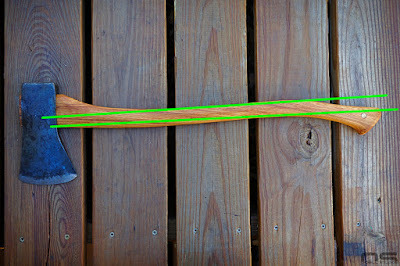 In the picture above we have a handle with perfectly sideways grain, that is to say that the individual growth rings run perpendicular to the axe head. It is not possible for the angle of that grain to be changed in anyway that it could run through the handle end-to-end. Here is how. 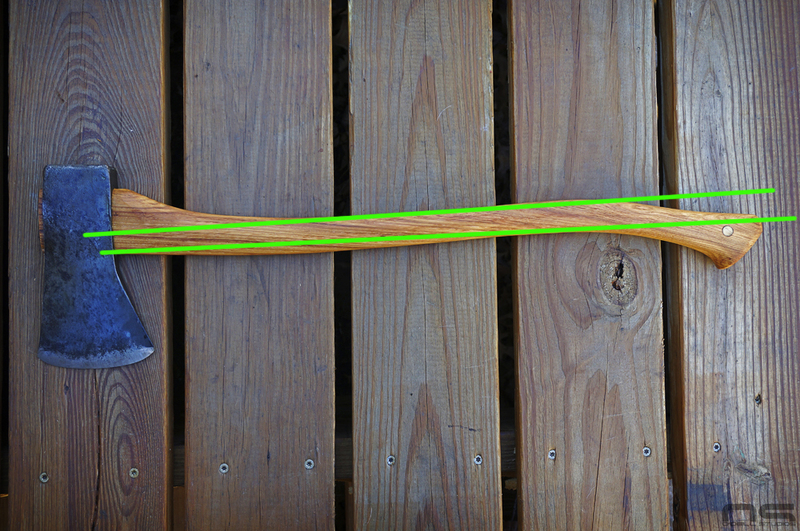 This image illustrates a change in the grain direction and you can see that at least straight lines will run pretty far through the handle but with plenty of run-out at the bend toward the swell, where I suggest a lot of forces are applied, and more run-out behind the shoulder than there already is. What's more important though, is that the person who cut this piece of wood would have to purposefully cut his blanks on this particular angle to achieve this orientation and to what real benefit? None. Which makes this notion that much more preposterous. These are often the same people who berate others for making extra effort to get the "right" grain orientation in their handles yet apparently require just this one special angle in order to reduce run-out. It is hilariously absurd. This handle has end grain that appears to be pretty parallel to the axe head but as you can see it runs diagonally through the handle, rather than end-to-end. This example also illustrates that straight handles with straight grain can have run-out - just another one of our multiple factors. Was this wood twisted? Was it just poorly sawn on some strange angle like this? It's difficult to say. The bottom line is, not only do you have things like this to worry about, but with curved handles you have even more opportunities for problems. It's a game of choosing features which reduce the possibility of problems and increase the likelihood of success. So in this case, is sideways grain orientation a cosmetic coincidence of run-out? No. In fact, the exact opposite is true. It isn't a matter of coincidence, there are multiple factors and grain orientation is one of those factors. Regardless of how you feel about grain orientation, or run-out itself, the former will always (99/100) be a factor resulting in the latter in curved axe handles. There is no compelling reason that I can see to purposefully choose sideways grain anyway and it's known that parallel grain has been used successfully for ages. So beyond the fact that it can lead to more perceived problems, there is no evidence that it's beneficial to performance even in straight handles. It's a senseless topic that continues to be forever unresolved, when a new resolution isn't worth reaching or even pursuing. The case has been effectively closed for generations and in fact, studies have shown that at least in hammer handles, wood is one of the worst materials available today for absorbing shock and probably where strength is concerned as well. But it cannot be argued with any legitimacy, with regard to curved axe handles, that grain orientation is insignificant but run-out is paramount. That is a contradictory statement, where the second half refutes the first outright and in the process supports age old guidelines for handle selection.